Review: When all your life you have been told that you need to work harder, aim higher and go farther, I guess that going back home might be stressful to say the least. So imagine Libby, who used to be a city girl with a high profile job and the perfect boyfriend, back at her home town with nothing, where everyone knows her and her story with Pete, her exboyfriend or ex love of her life, where there's no professional succes to achieve, where her posh clothes make her feel from a different world. I liked Libby, but she was a bit too obsessed with what everyone else might think of her. This is why I loved Pete, he didn't have a care in the world about what others might think, he just cared about his loved ones, wanted them to be happy. He was a hard-worker with a child spirit and he was kind and strong. Perfect book boyfriend material. I loved how he tried to get the young care-free Libby back and how he wasn't afraid of making a fool of himself in front of others. Jenny writes a cute story about the importance of belonging to a place, the importance of having your loved ones close and about what you are willing to sacrifice to have what you really want. Plus the setting of this book is stunning, I could totally picture the endless beaches, she swing on the tree or the porches where life seems to go by slowly. A perfect summer read. 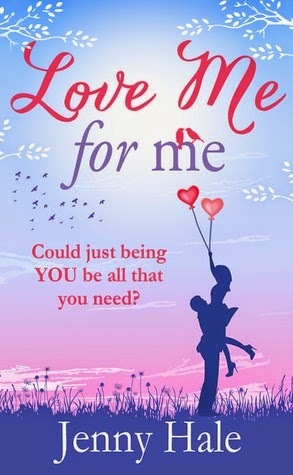 If you don't believe me, you can read Jenny's Guest Post about why Love Me for Me is the perfect beach read and see some photos of the beautiful setting.